2015 Yamaha Bolt C-Spec, BE THE 1ST TO HAVE THE NEW STYLE BOLT - THE WORLD'S 1ST URBAN PERFORMANCE CAFÉ RACER. 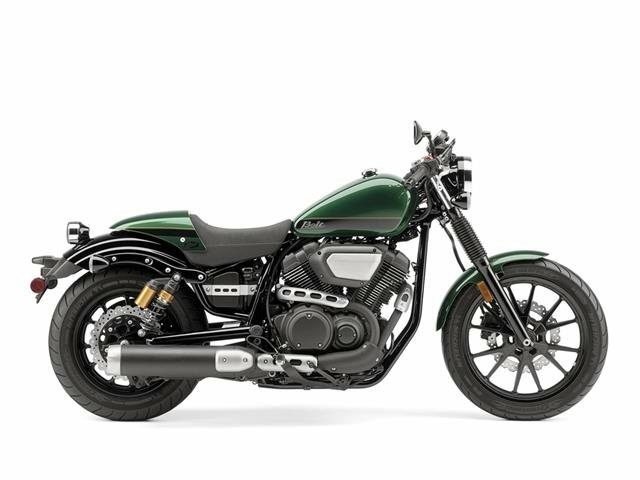 An instant café-racer classic, the all-new Bolt C-Spec features everything that makes the Bolt great - minimalist design, powerful fuel-injected 942 cc V-twin, great handling - and ads café racer styling, sporty clip-on handlebars, footpegs set further back for a more athletic riding position, and slim solo seat. Liquid Silver and Envy Green available from January 2015. All Yamaha pictures are kind of Yamaha HD motorcycles picture was taken, including motor fuel gauge, engine, engine mounts, tires, fuel tank, the car handles, lights and so on, 2015 Yamaha Bolt C-Spec full-screen viewing,2015 Yamaha Motorcycles today Price: $11,900 .